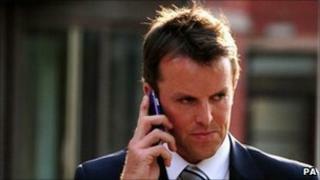 England cricketer Graeme Swann had been out to buy screwdrivers to help rescue his cat when he was arrested for drink-driving, a court has heard. He told police he had returned to his West Bridgford home to find the pet trapped under floorboards. He got in his Porsche Cayenne but was pulled over by police. A blood test later recorded 83mg of alcohol per 100ml of blood - the limit is 80mg. The 31-year-old pleaded not guilty at Nottingham Magistrates' Court. Two officers, Pc Steven Denniss and Pc Caroline Voce, were travelling in a marked Volvo in the early hours of 2 April when they spotted Mr Swann's Porsche. The court heard Mr Swann had been to Asda in Loughborough Road to purchase screwdrivers to undo the floorboards. The police officers decided to pull him over because he was driving a high-performance car in an area where there had been a spate of burglaries. Pc Voce said the Porsche sped off and they were about to begin a pursuit when they spotted it parked at the side of the road. Mr Swann got out of the driver's seat with something glinting in his right hand, the officer said. She added: "As he approached us, from the manner of driving I thought we had a burglar or a stolen vehicle. "He was waving the screwdrivers, saying, 'It's not for what you think, the screwdrivers aren't for what you think'. "He stated the cat was trapped under floorboards and he continually asked us to contact (his wife Sarah) and a call was made to a sergeant to attend the address and make sure the cat was okay. "Mr Swann was very chatty and said he had been out celebrating his birthday weekend with his partner. Because he had been drinking he took a taxi home. "He had had the builders in and the cat was trapped under the floorboards but he couldn't find the screwdrivers in the house so he went to Asda." After arresting the off-spinner and escorting him to the police car, Pc Voice said she had to wind down the driver's side window because he smelled so strongly of alcohol. "I would say he was drunk from his manner and his actions. He eyes looked very red," she said. Pc Denniss said Mr Swann's speech was slurred and that he admitted he "shouldn't have probably been driving". A breath test recorded a reading of 45 micrograms of alcohol in 100 millilitres of breath, the legal limit being 35 micrograms. Because he was just over the limit, he was offered a blood test which similarly showed him to be just above the legal limit, the court heard. The hearing was adjourned and will not resume until 7 October because of his cricketing commitments.